‘The Spirit Of The Lake’ (Llyn Llydaw, Snowdonia). Photo by Kris Williams (CC 2.0 via Flickr). ABERGYNOLWYN, WALES (4 December 2015) — Snowdonia National Park has been named an International Dark Sky Reserve by the International Dark-Sky Association (IDA). It is only the tenth Dark Sky Reserve ever named. This designation is given by IDA to select destinations that have proven that the quality of their night sky is outstanding and real efforts are being made to reduce light pollution. Currently, International Dark Sky Reserves can be found in nine locations throughout the world and in addition to this announcement for Snowdonia, out of all the countries of the world, Wales is the country with the highest percentage of territory receiving IDA status. The announcement is the starting point of Snowdonia National Park Authority’s journey. A stargazing event for beginners has been arranged at Llyn Geirionnydd on Saturday evening and on Tuesday evening, December 14th, an introduction to astrophotography will be held in Croesor on an evening when the Geminids meteor shower is expected to be seen. A poster designing competition for pupils within the catchment of Snowdonia promoting the virtues of dark skies has also been arranged. 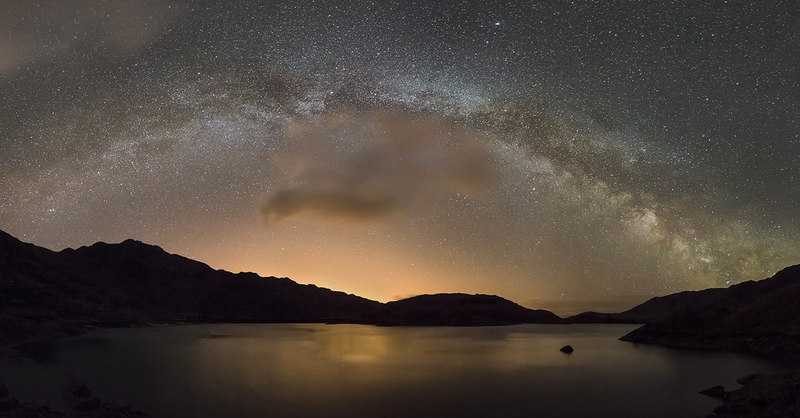 For more information on dark skies in Snowdonia, visit www.snowdonia@npa.gov.uk or contact seeingstars@snowodnia-npa.gov.uk. Next post: Night Sky Data to the People!